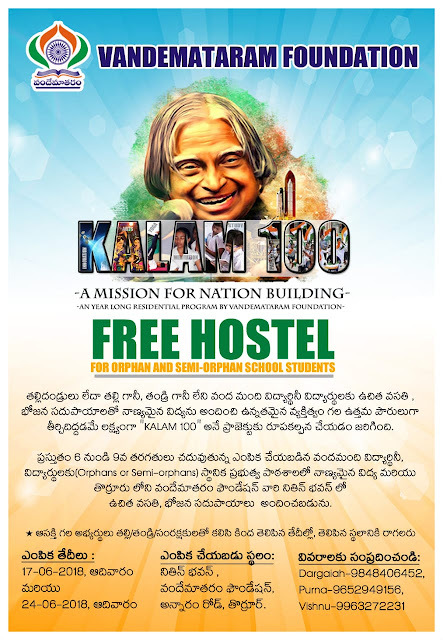 Thorrur Vandemataram Foundation KALAM 100 Free Hostel Admissions 2018: Vandemataram Foundation KALAM 100 Free Hostel Admissions for Orphan and Semi Orphan School Students. 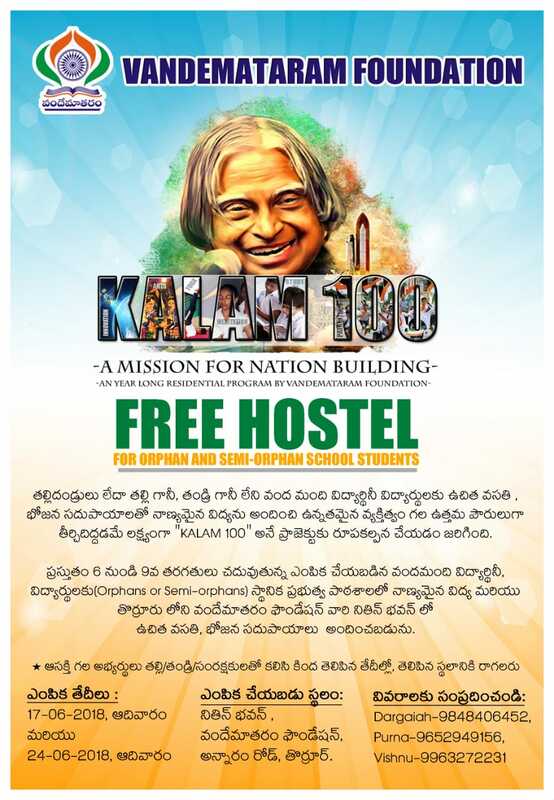 KALAM 100 is An Year Long Residential Program by Vandemataram Foundation. KALAM 100 is A Mission for Nation Building. Currently there are a hundred students selected from the 6th to 9th Classes studying students(Orphans or Semi-orphans). Quality education to the provided at the Local Government school and free accommodation and lunch would be provided at the Vande Matham Foundation, Nithin Bhavan. Thorrur. Interested candidates may come together with ther Parent / Guardian at the following dates.